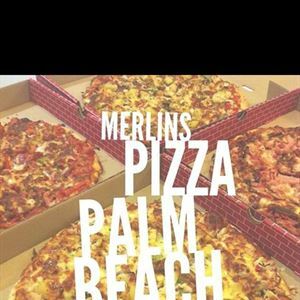 Locals continue to cruise on down to Merlin’s Pizza, established in Palm Beach since 1990 and as popular as ever for sprucing pizzas with a little bit of magic. 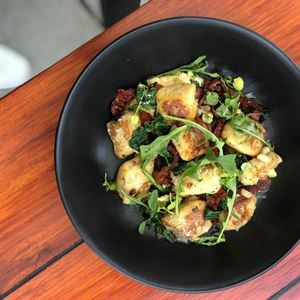 Sitting back from the beach in Nineteenth Avenue Shopping Centre, visitors swing by for an easy meal to take down to the oceanfront or stay to dine inside, surrounded by a friendly ambiance and brightly coloured pizza themed artwork adorning the walls. 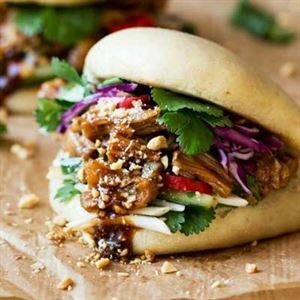 Generous toppings are backed by high quality dough, crafted by hand and left to rise, while flavours develop from a selection of fresh, locally sourced produce. Try one of Merlins’ favourites, like a tomato based chicken and mango pizza topped in mozzarella, chunky chicken, freshly sliced capsicum and onions or a Lambatonic with sour cream and slithers of marinated lamb.